In December 2017, Special Collections launched a new oral history interface called Collected Voices. The site features oral histories with the depositors behind our Special Collections and Archives. These recordings give a privileged insight into creators, collectors, and significant figures with close links to the personal and professional activities, borne out through these unique research resources. They are less a life history, and more a privileged subjective look at the conception and provenance of individual records. Oral histories not only add context to archive items, but they offer an alternative way in to archives that moves away from the traditional catalogue and towards creating dynamic digital content that entices people to use our material. The site was launched with an online promotion with support from the library’s marketing team, and it is the type of generous interface that caters to researchers with creative research interests. Already, we have accumulated some fantastic interviews. Michael Chaplin, writer, former television executive and President of the Friends of the University Library features on the site talking about winning his very first short story competition, his early working career as a journalist for The Journal, and pitching the idea for his TV series ‘Grafters’ which starred Robson Green and Stephen Tompkinson. He also speaks about his father, writer Sid Chaplin, and his early life as a baker and apprentice blacksmith, how he met wife Rene, and the publication of The Leaping Lad. 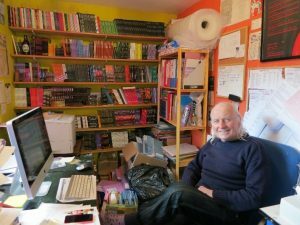 There’s an interview with Peter Mortimer of IRON Press, and his anecdotes relating to publishing David Almond before he was famous and the process of producing the very first issue of IRON Magazine. Likewise, Peter and Margaret Lewis, founders of Flambard Press, were kind enough to give an interview about publishing their first poetry pamphlet, their memories of a reading Ted Hughes gave in Durham and the experience of John Murray being longlisted for the Booker Prize for his novel Jazz etc. 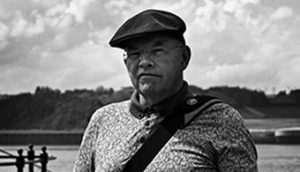 Our most recent addition is an interview with poet and Newcastle University Professor of Creative Writing, Sean O’Brien. Sean discusses his process for writing poetry, his residency at Live Theatre alongside Julia Darling and publication of his first poetry collection The Indoor Park. We look forward to adding more interviews to the site very soon. Hear the interviews for yourself by following the link below. This entry was posted in Archive, News, Oral History Collective, Partnerships, Public History and tagged archive, creative writing, life history, oral history, poetry, public history by Alison. Bookmark the permalink.